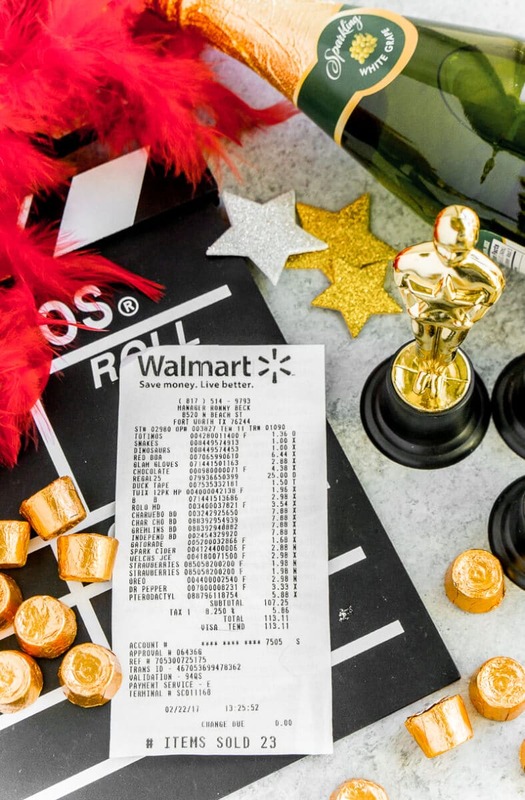 Watch the commercials during this Sunday’s Academy Awards to see three different stories told from the exact same receipt of six items purchased at Walmart. Then make your own movies with this fun Oscar party game idea that’s perfect for adults, kids, and groups of all sizes! Definitely one of the most fun things to do at an Oscar party this year! As part of their first ever sponsorship of the Academy Awards, Walmart donated over $250,000 to support up-and-coming filmmakers and challenged Hollywood directors Antoine Fuqua, Marc Forster and filmmaking partners Seth Rogen & Evan Goldbergwere to create one-minute films inspired by a receipt. They were each given a receipt with the same six items – bananas, paper towels, batteries, a video monitor, wrapping paper, and a scooter – and told to create a story as part of the behind the receipt, there’s a great story campaign. You can see a little sneak peek below and watch the full videos during the Academy Award commercial breaks on Sunday, February 26th. We’ve seen movies inspired by books, by personal life experiences, and by historical events, but never a receipt. I love the idea and can’t wait to see the three videos when they premiere during the Academy Awards on Sunday night. After watching the sneak peek, it got me thinking. What story does my receipt tell? I’m afraid the story behind my receipt isn’t a good one, but it’s a familiar one. It’s a story of mom guilt. Just minutes before I was at Walmart shopping for supplies for our Oscars party this weekend, I was at my very first playgroup at a local indoor playground. My son was running around and playing with other kids like he normally does. He loves other kids, unless they’re what he considers “babies.” I held a baby once and since then he thinks every baby is going to steal me from him. Even though I was watching the entire time from across the room, I have no idea what happened. I don’t know if the baby was crawling on him. I don’t know if the baby was in his way. All I know is that I saw my son push a 12-month old baby off the platform at the playground. And I watched that baby literally do a flip and fall face down off the platform onto the padded surface below. And I know all the other moms saw too. I was on my way over to him before anyone else said anything, but I could almost hear the “holy cow, did you see that,” thought running through their heads. At least it felt that loud. We walked into the other room so that I could discipline my child in private. And so the other moms couldn’t see my brain working out that my first time attending this playgroup, the playgroup I thought might be the key to my making new friends in a new area, would be forever tainted. That every time I am trying to make the decision to attend or not in the future, I would have to push away that nagging thought from the back of my head that on the first day, my son pushed a baby off the playground. None of the moms said a word as we walked into the other room, I think they were all as shocked as I was. During timeout, I asked my son if he knew why he was in timeout. He did. I then asked him why he pushed the baby, to see if I could prevent similar issues in the future. No answer. And as I asked him why he pushed the baby, I blamed myself. I’m the one who let him watch a fighting cartoon on Netflix. I’m the one who didn’t put him to bed early enough last night. I’m the one who hasn’t had a second baby to get him used to babies. I’m the one who gave him candy right before the playground even though I know candy makes him crazy. I’m the one who has spent more time traveling in the past month than teaching him how to share. I’m the one who decided to come to the playgroup in the first place. And so on. Because today my kid was the bully – the kid that other parents were worried about. And somehow that’s my fault. Even when really it’s not. He just made a bad choice today. We left the playground and went right to Walmart to buy party supplies. 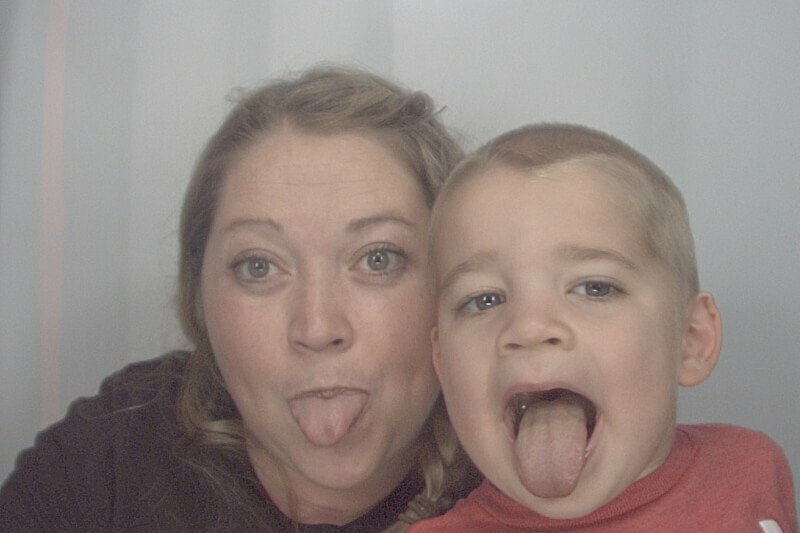 And while we were checking out, our cashier Teresa fawned over my son. She walked out from behind her register and put on his sunglasses. She picked up his toy dinosaur and roared at him. And she told me over and over again what a great kid he is. And he is. He is a wonderful kid. He made a mistake today, and so did I when I blamed myself. Mom guilt took over as soon as we walked into the other room for timeout. But mom guilt didn’t ruin the day. When we walked back over to the playground to apologize and gather our things, the other mom was gracious and told us it was no big deal, the baby was fine. And another mom said, “we’ve all been there.” And another. And another. What could have turned into another playdate gone bad turned into a chance for us to empathize with one another, to build the foundation of what I hope becomes a strong friendship. And when someone else’s kid hits my son or heaven forbid pushes him off the playground in the future, I’ll look back at that mom and tell her, it’s okay. We’ve all been there. 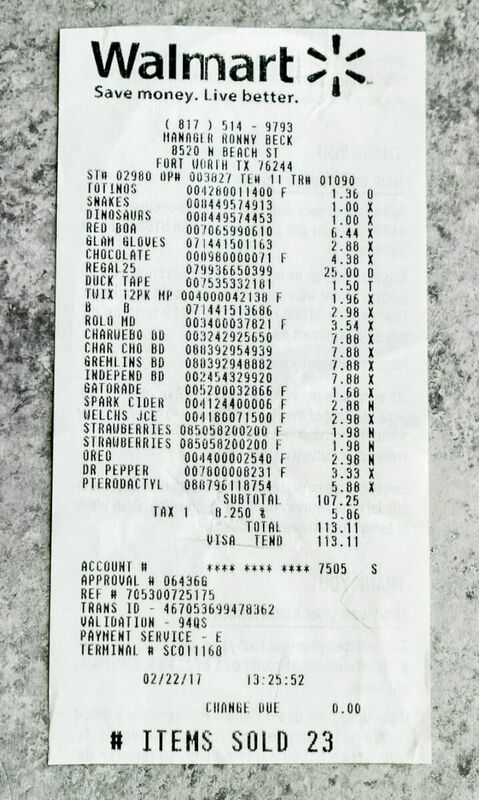 This receipt may not tell you much but when I look at it, I see the frozen pizza and Dr. Pepper I only buy when I’m having a bad day. I see the toy I bought my son because I was feeling guilty after he cried and said, “Mom, you made me sad.” And I see a bunch of food that I chose for my party so I can eat the leftovers in case it doesn’t go well. I’ve been known to down an entire bottle of sparkling cider on a really rough day. And there’s a package of Oreos on there, but those aren’t for me. 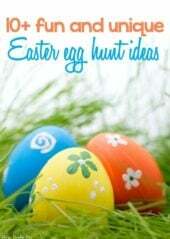 Those are to bring as a treat to playgroup when I go back next week. As Academy Awards are handed out at the Oscars this weekend, I think we should add another – a “best try” award – for all of those moms who are trying their best every day. An award for moms who have receipts full of caffeine, comfort food, and chocolate. 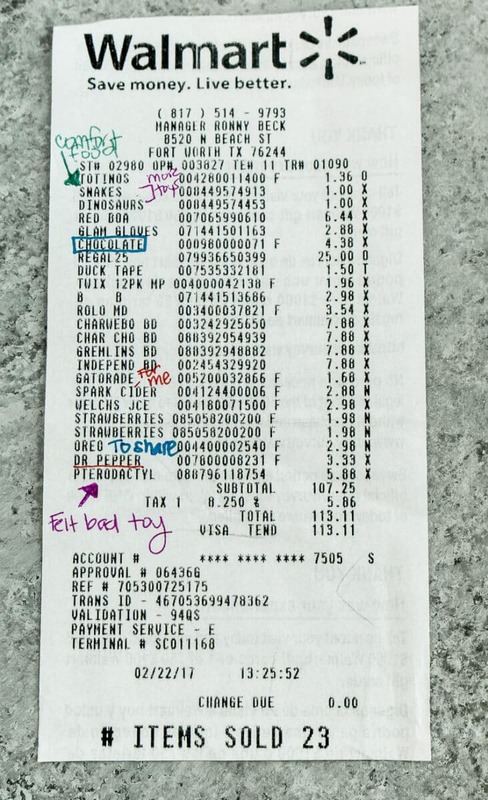 And an award for the moms who have stories behind their receipts, “we’ve all been there” stories you don’t see until you zoom the camera lens in a bit for a closer look. My receipt has a few other things as well, just not as significant ones. I grew up going to an improv comedy place kind of like the show Who’s Line Is It Anyway where people put together skits based on things people shout out in the audience, random suggestions, and random props. 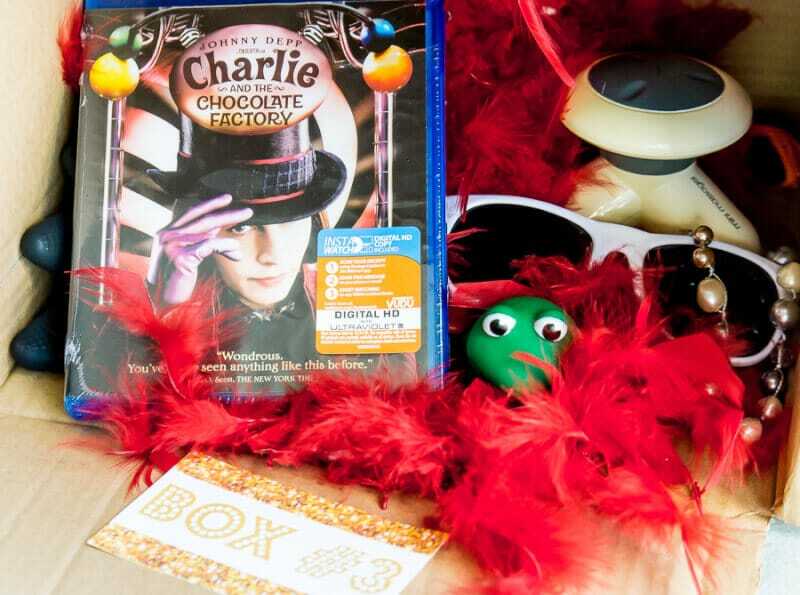 I thought it would be fun to create that experience for our Oscar party this year with this “out of the box” Oscar party game. This is best played if you invite people over before the Academy Awards actually begin, a pre-show activity, and I’d schedule in about an hour for the full game. The rest of those items on that receipt, those are for this game. 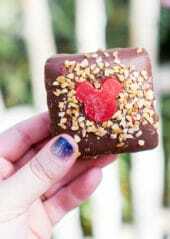 And for people to eat. One cardboard box per team filled with a bunch of random props. We used everything from bathtub frogs to a feather boa. The more random the better. The number of props in the box will depend on the number of players, make sure you have at least one prop per person plus extras. Classic movie cases with a number on the back. 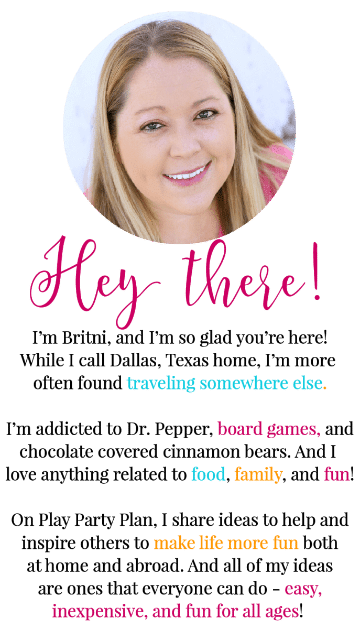 These free printable “out of the box” stickers (print on full sheet labels then cut). Put these on each of the boxes, mostly just to be fancy. 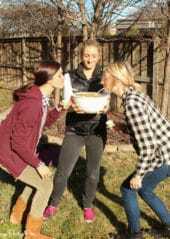 Gold prizes such as chocolate, sparkling cider, gold duct tape, etc. Split your group evenly into multiple teams with the same amount of players. I recommend teams of 3-5 people, maximum. Have each team pick one of the box of props and a number. The number will correspond with their movie. 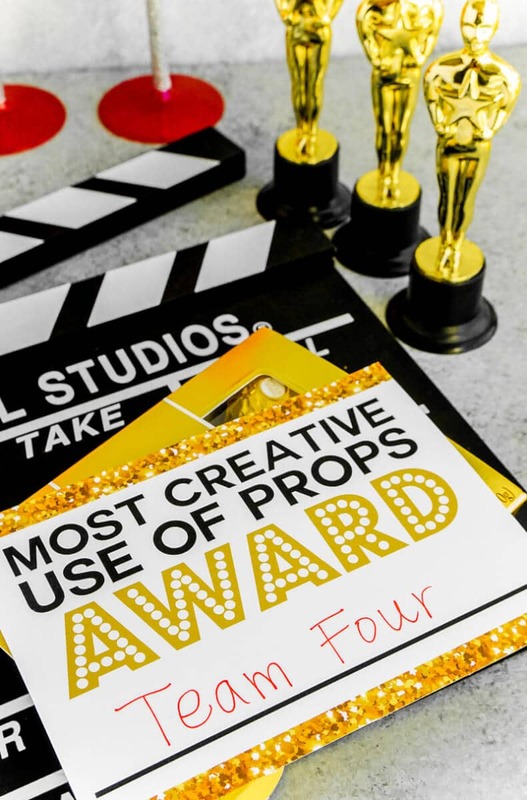 Give each team their box of props, their assigned movie, and their own space in the house or venue. Tell each team they have 30 minutes to come up with a one minute short retelling of the classic movie they chose using the props in the box. All team members must participate in some way and all props must be used at some point. If the group thinks one minute is too short, you can increase the amount of time to two minutes instead. Once the 30 minutes is up, have everyone come back together into one open area. One at a time, teams should perform their retelling of the classic film while the audience and judges watch. Once everyone has performed, judges deliberate and decide on which films should receive the out of the box awards. You can either give everyone an award or just pick a few. Judges give the winners their printable award and a gold prize. If you have any questions about playing, feel free to leave a comment and I’ll do my best to get back to you as quickly as possible. To print the stickers and award cards, just click on the links or images below and print. 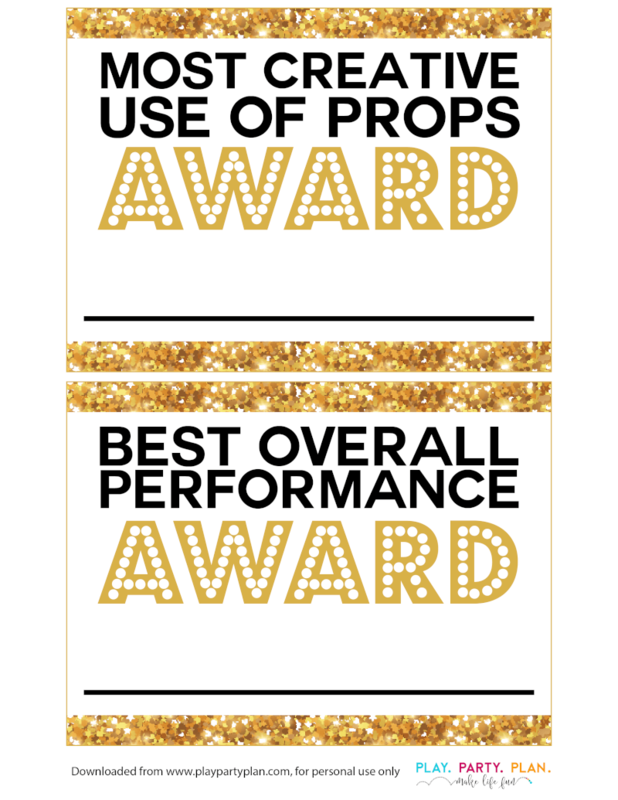 There are eight box labels and 12 different awards (and blank ones) you can print and use. Mom guilt is so hard to overcome. My kids do not think about consequences either… especially my 3 year old son! Sometimes it’s maddening. lol On another note… the Oscars game looks like so much fun. Can’t wait to see the Walmart receipt movies.